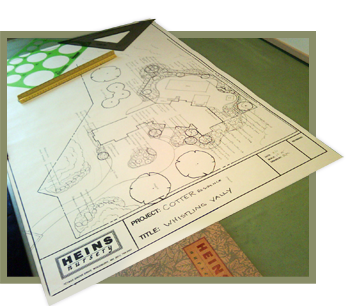 Heins Nursery has been in the residential design/build landscaping business for over 40 years. We have completed hundreds of commercial and residential projects throughout the Twin City metro area. Heins Nursery has the reputation for producing superior shade and ornamental trees. These are grown in our fields in Woodbury Mn. so you can be assured that they are hardy for the Twin Cities and surrounding communities. Because of our production practices these trees are generally in our fields for an additional year then is normal for the size of the tree. This extra year allows us to produce a stronger tree with a much fuller crown. We purchase most of these plants from the best local wholesale container growers. These companies are known for producing top quality potted plant material. We sell shrubs from a three gallon up to a fifteen gallon size. This allows us to furnish you with a nice sized finished plant that with make an immediate impact in your landscape project. Perennials and grasses are generally sold in a one gallon container. However, some varieties are offered in a two gallon. Our design staff and landscape crews are long time employees who take great pride in their work. We feel that one of our most valuable assets, as designers, is that we work very closely with our clients. This leads to a customized landscape project that reflects your personality and needs. Our landscape crews are great. The designers or management are told on a regular basis by our clients, 'That they are amazed at how hardworking and accommodating our crews are.' In fact it is not unusual for some clients to offer gifts or tips to a crew! Education: Graduate from University of Minnesota with a BS Degree in Landscape Horticulture Co Patent holder for Sienna Glen Maple. Business Goals: Simply, to establish and oversee a superior design / build landscape company which has an outstanding reputation. Leisure time activities: spending time, with wife Mary, at their cabin as well as hunting, fishing, golfing and travel. Special Landscape interest include perennials, water features and creative stonework. ©2015 Heins Nursery, Inc. All Rights Reserved.